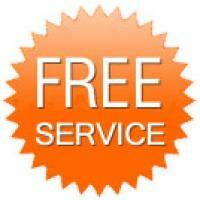 "Dear Dr Liz" is one of the many online services I provide for you, the loving pet owner. Every day, I receive emails from loving pet owners who are seeking that extra bit of advice or help. The majority of pet owners often have to drive 60 minutes or more to a vet, so often need to know whether their pet's problem is one serious enough to need the drive. Sometimes the questions are just to clarify what your own vet may have said to you, but you were just too scared to ask. Every pet deserves to have their own personal vet - does your pet? My pet, ...River.......... (insert name) needs your help. This is not an emergency, they are not seriously ill, but I just need a bit of extra advice. They are (5), (girl), (Mini Aussie Bulldog ) and I love them to bits. And I am really worried.... please help me. I've just returned from a 17 day trip away from her and notice a lump in her mouth looks like it is growing out of her gums. its hard to touch and doesn't bother her when i do. Her breath smell bad as usual not a change there. Could stress from me being away from her bring something like this on. Any information would be great. Thank you for your photos also. I can see that you love your dog very much. The problem here is that when there is a lump in the mouth, it can be due to many many things. Generally,, a lump in the mouth is called an "epulis" but this is a generic term, as it just means a "lump" in the mouth. It isn't a diagnosis, but a general term. 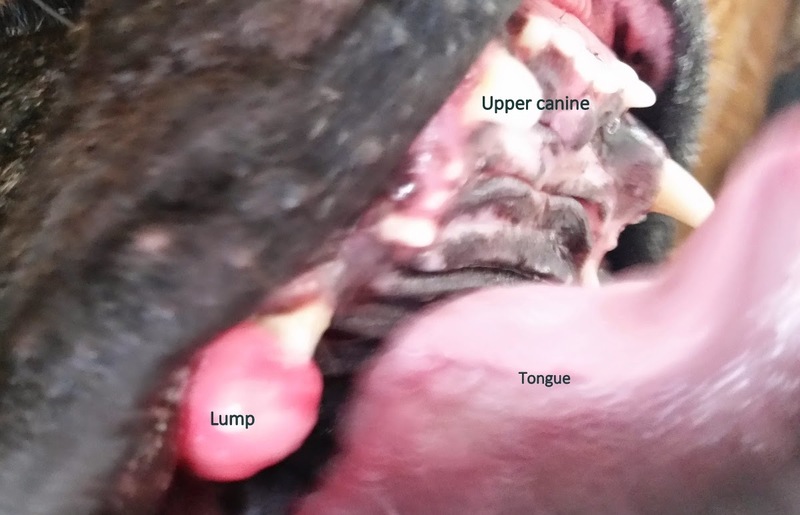 We often use a combination of examination, intra-oral radiographs and biopsy of the lesion to identify exactly what it is. As an aside, it is not normal for there to be a bad smell from any pet's mouth - pet's breath should not smell, and definitely not smell bad. I wish you both the best of luck, but River needs to see a vet for diagnosis, and then recommendations on treatment. The lump pictured here is a oral plasmacytoma, but without histopathology, all I could say is that it is "a lump". Every day, you should check your pet's mouth during brushing, and make a note of any growths. They are rarely painful, and most times do not bleed. But they are no more normal in your pet's mouth than on the skin. 3. Either an incisional biopsy (a sample or debulking) procedure is performed, or an excisional biopsy (removing the entire lump, the adjacent tooth and some bone ). Most times, it is an incisional biopsy. 4. The excised tissue is submitted for histopathology - this is the best and only way to find out exactly what the lump is. Once we know what it is, and how it can potentially behave, a plan can be developed on how to deal with it - whether it would be local surgery, or removal of sections of jaw. Do you have any questions or concerns about your pet? One of the awesome things about having a relationship with your own vet, is that you can ask them all of your questions, but I understand that sometimes it doesn't work out that way. I will always try to help you if I can, but there are limitations to what can be done online - same as there are limitations in a consultation room too. Sometimes, tests do need to be done to find out what the problem is, and how best to treat it. I am Dr Liz, your family pet's vet in Russell Vale. Online vet consults are here. Please note the disclaimer as written on the website.